Look like a ray of sunshine (without going broke) with these cute and colourful kurtas and gowns from Varmatex in Ulsoor. 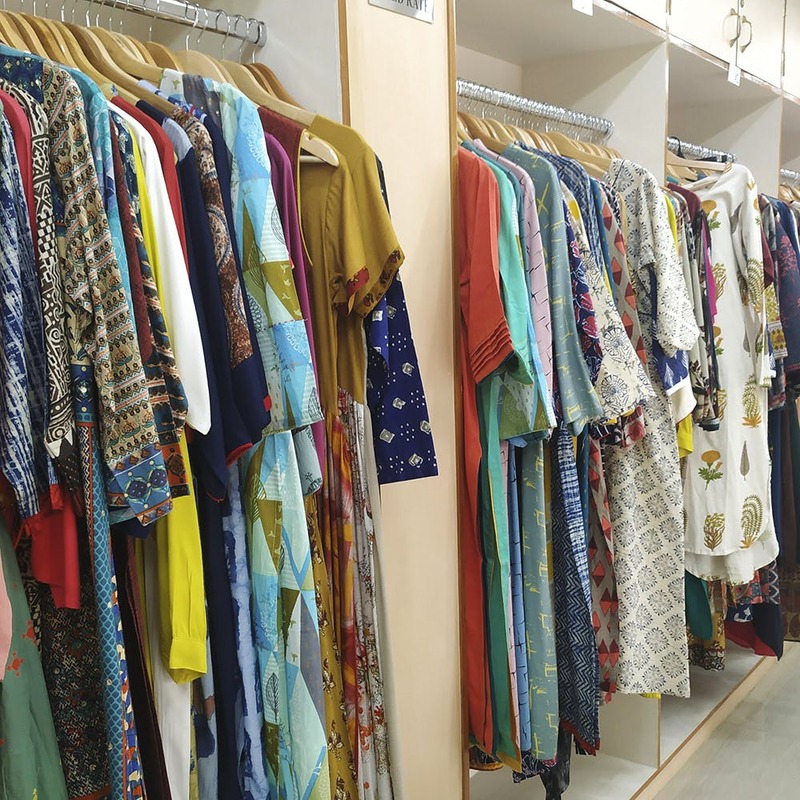 If you love shopping for new clothes but hate looking at your bank balance after, we have great news for you: Varmatex in Ulsoor has pretty regular wear options that will not only save you money, but also make you look hella cute. Located right on top of the Raymond's building, the shop might not even catch your eye, but trust us, once you go in, you will not regret it. Walk into the store and find a wide range of surprisingly affordable kurtas, starting from INR 350. Whether you like easy breezy cottons, block prints or colour pop anarkalis, there are plenty of standout pieces to choose from and fall in love with. Pair these kurtas with comfy flared palazzo pants, priced at INR 400 upwards. They even have churidar sets, if you're too lazy to shop for separate pieces. For dressier options, check out their range of embroidered gowns - priced from INR 4,000 upwards, they are great to wear to a reception or a mehendi ceremony. They house sizes from S to XL, and all the pieces have room for making alterations, so your outfit can be made to fit you perfectly. If you have a specific cut in mind, choose from the shop's stock of pretty dress materials. While they don't have an in-house tailor who can custom-make the outfit for you, they can always refer you to one. You might have trouble finding parking space here, so we suggest taking a cab.